One of the regulatory goals for the research inducement provisions of MiFID II was to create more price transparency for investment research. However, asset managers’ decisions to opt out of onerous reporting requirements and brokers’ aversion to explicit pricing for research services have hindered the development of greater clarity around research pricing. Last fall, we had a conversation with a London-based executive at a large global asset manager who pointed out the inherent regulatory confusion surrounding research pricing: “Regulators have been assuming research price, cost and value are interchangeable, but they are not,” he said. Whereas pricing is objective, value is subjective and the cost to produce research may not be related to either. Where research and execution remain bundled, research payments are typically determined by buy-side consumers of research within broad guidelines established by the sell-side. The sell-side often set minimum thresholds for certain levels of service, but largely remained ‘price takers’ rather than ‘price makers’. There has been a good reason for this. In our pricing study released in early 2017, research providers who predominantly relied on clients to set the values on their research had average client payments nearly double the payments made to providers that mainly charged subscription fees and four times the payments to those relying on menu-priced research. The disparity between price taking and explicit pricing comes down to the inherent difference between value and price. One could argue that the ‘price taking’ approach was not unlike revenue sharing (ignoring the inconvenient detail that the sharing has historically come out of asset owner pockets, not asset manager pockets.) In theory, price-taking aligns the interests of research producers and investors and rewards alpha-generating ideas. It is inherently subjective and varies by investment strategy. A well-researched short idea is of marginal value to a long-only manager but could be precious to a long/short manager. Hedge funds have been particularly willing to reward successful research insights. It is not uncommon for hedge funds to pay lavishly for particularly successful long or short ideas. Marshall Wace, a London-based hedge fund with approximately $34 billion in assets under management, pioneered the alpha capture approach which systematically rewards high performing trade ideas from research providers. Given that most European hedge funds continue to fund research payments from client assets, hedge funds are likely to continue the practice of paying generously for valued research. In contrast, research pricing assigns a set amount across all use cases. Research consumers who expect the research value to exceed the pre-assigned price will purchase the research and those who don’t, won’t. Assigning prices universally forgoes the opportunity to be paid liberally by those who find the highest value from the research. 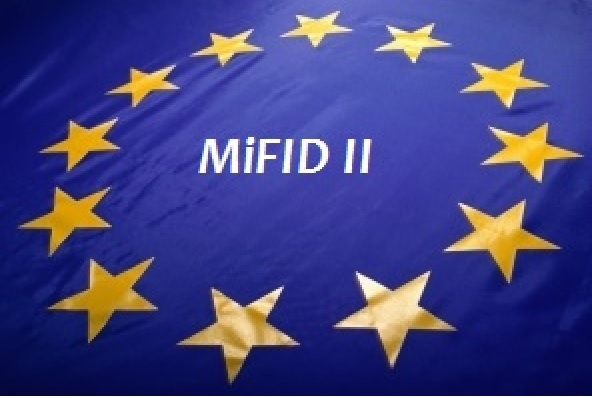 At the same time, almost as an afterthought, MiFID II required brokers to provide “a separately identifiable charge” for any services beyond execution. In other words, value was to be set by research consumers while research producers set price. In the event, brokers made token efforts to assign explicit pricing to research services, confining universal pricing to subscriptions for written research. To a large extent, MiFID II perpetuated a negotiating process for research where the buy-side comes to the table with assigned values and research providers counter with their “price,” which is not a consistent amount communicated to all clients but a customized quote unique to each client. Negotiations are bi-lateral resulting in a minimum amount of price transparency. Although MiFID II has not generated much pricing transparency, it significantly reduced European payments for research. The majority of long-only European asset managers chose to opt out of MiFID II’s convoluted research procurement strictures by paying for research from their P&L, which in many cases resulted in significantly lower research spending. For investment banks, investment research services multiple clients, not just asset managers. Corporate clients seeking access to capital markets and wealth management clients are two other key constituencies for research, and their importance increases as asset management payments decrease. Cross-subsidizing research is not a new activity for investment banks, and its importance expanded with MiFID II. Although research payments to brokers continue to be set by bi-lateral negotiations customized to each client, MiFID II has injected more skin in the game, particularly for European long-only managers paying for research from their own pockets. Negotiations have become sharper and there is more granularity supplied by interactions data. Over time, we can expect more price discipline as the buy-side becomes pickier about the research services purchased. Nevertheless, we remain a long way from full research price transparency, a goal that may not be ever fully attained.